Do you have an upcoming birthday, anniversary, or are you just in need of a gift? 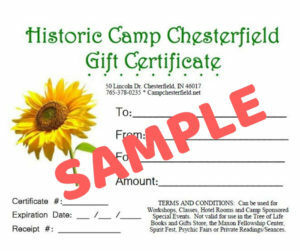 Let your friends and family know that you'd love a Gift Certificate from Camp Chesterfield! We hope you enjoy using your Gift Certificates and thank you for supporting Camp Chesterfield! Camp Chesterfield Gift Certificates can be used for: Workshops, Classes, Historic Western Hotel Rooms and Camp Sponsored Special Events. 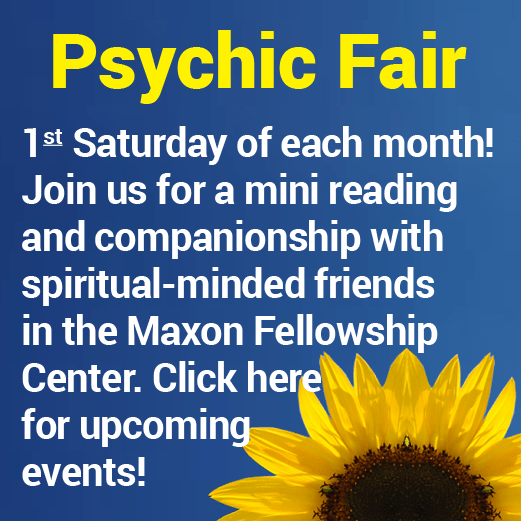 Not valid for use in The Tree of Life Book and Gift Store, the Maxon Fellowship Center, Spirit Fest, Psychic Fairs or Private Readings/Seances. Gift Certificates can be mailed to you or picked up at our office during normal business hours. 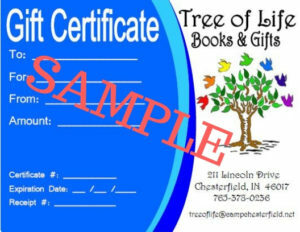 The Tree of Life Book & Gift Store Gift Certificates can be used for: Book & Gift Store Items. Not valid for use for Workshops, Classes, Western Hotel Rooms, Camp Sponsored Special Events, the Maxon Fellowship Center, Spirit Fest, Psychic Fairs or Private Readings/Seances. Gift Certificates can be mailed to you or picked up at the store during normal business hours.